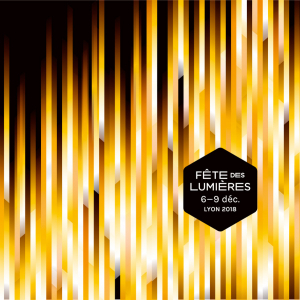 From the 5th to the 8th of December 2019 in Lyon, your nights will shine brighter than your days! From Thursday 5 to Sunday 8 December. Combining popular traditions with technological innovations, the Festival of Lights (Fête des Lumières) is a major event in Lyon! Each year, in the creative hub that is Lyon, young lighting designers are invited to create their installations, which are then exported around the world. A totally unique concept! Immerse yourself in this major celebration that is free and open to all! 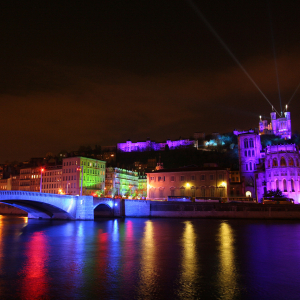 This year once again, Lyon will be lit up for four consecutive nights. It promises strong emotions, poetry and spectacular magic, with a number of routes to take you across the city. Each evening, starting at 8 pm, take a stroll through the centre of Lyon, which is transformed by lights and the imaginations of designers from around the world. The Festival of Lights highlights the town's outstanding architectural heritage, its rivers and its main monuments and places through a combination of 40 attractions with illuminations, including videos, lasers and LEDs, as well as sound and performing arts. 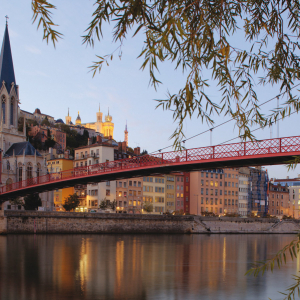 Explore the Presqu'île district in the city centre, as well as Vieux-Lyon (Old Lyon) and Fourvière, where the most spectacular attractions can be found, or the slopes of Croix-Rousse hill where the installations are more intimate and often participative. The event programme in the city centre is identical for all four evenings. The Festival of Lights was originally a religious festival and is also about showing generosity. Each year, a charity organisation is invited to take part in the “Lumignons du Cœur” campaign: buy a lumignon (small lantern) and make your contribution to the huge lit fresco on the site of the ancient Odeon of Fourvière on the 8th of December. The money raised will be donated entirely to the organisation (which is different each year). This year, profits will be donated to the association Docteur Clown, which entertains children in hospitals. > ‘Reflets’ (‘Reflections’), which reimagines 400 m of the banks of the Saône and Fourvière hill. A moving spectacle! > Place Bellecour and its irresistible ‘Anooki’ – "A little place for big dreams"
> Place Antonin Poncet with its illuminated soap bubbles that fly away when blown. > Three courtyards of the Grand Hôtel-Dieu, each with its own ambiance. > Place des Jacobins with its strange Northern Lights – "You and the night"
> The ‘Big Tree’ on Place de la République, standing no less than 16 metres tall (which will remain in place until the end of December)! > The courtyard of the Musée des Beaux-arts (Museum of Fine Arts) and its dream-inspiring light and piano installation – ‘Key of Light’. > The Atrium of the Hôtel de Ville, with ‘Tricolore’ and its impressive laser displays. > Gare Saint-Paul where ‘Quantum’ brings a poetic vision blending quantum physics, dance, movement and materials. 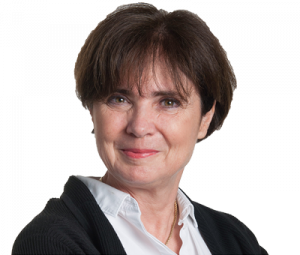 > Place Louis Pradel and its creatures from the depths of the ‘Abyss’. 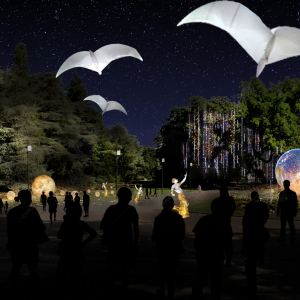 > Tête d'Or Park will be home to ‘Présages’ (‘Portents’), birds and luminous beings in a magical, dream-like and poetic world. > The Odeon of Fourvière and its ‘Yu Da Ba Jiao’, a wonderful pool of lotuses and cotton flowers from China’s Guangdong Province! 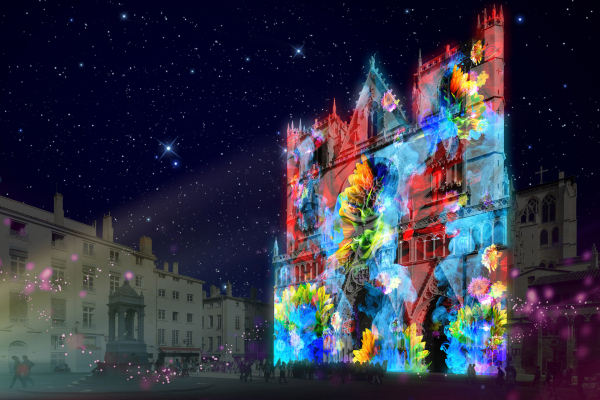 To really make the most of the Fête des Lumières, prepare your tour!